In the new era of online visual communication, when you have to be fast and clear, emojis are getting a strong relevance as the main language that allows us to communicate with anyone globally. Customers know it and brands too. 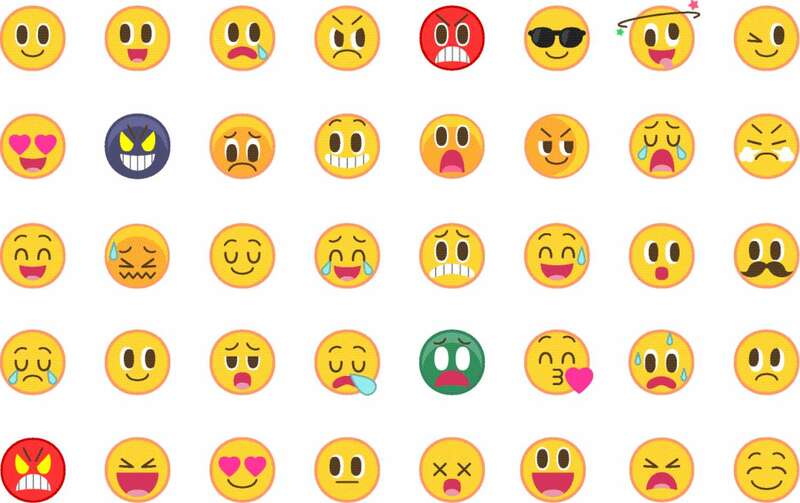 Collecting and analyzing data on emojis give companies useful insights on how customers are feeling about a new product, a new campaign, or about the brand itself. Emojis can even help identify where there is a need to improve consumer engagement by picturing users’ moods, attitudes, and opinions. And to do that, companies need to implement sentiment analysis projects. The goal of sentiment analysis is to define automatic tools able to extract subjective information, such as opinions and sentiments from natural language texts and images. When dealing with contents coming from social media, like Facebook and Twitter, we need to leverage new types of contents and diffusion models that need to be modeled explicitly starting from the language. The characteristics that distinguish well-formed contents (e.g. reviews) from microblogs messages relate to the use of canonical, coherent and at least paragraph-length pieces of text. However, sentiment analysis on social media leads towards new and more complex scenarios: the sentiment is conveyed in at most two sentence passages often with an informal linguistic register and with non-standard spelling. social language processing, the use of emoticons has attracted machine learning researchers for the sentiment classification task. Emoticons are considered to be handy and reliable indicators of sentiment, and hence could be used either to automatically generate a training corpus or to act as evidence feature to enhance sentiment classification. Emoticons are introduced as expressive, non-verbal components into the written language, mirroring the role played by facial expressions in speech. Their role is mainly pragmatic: emoticons give a positive or negative sense to written sentences by a visual expression. According to this consideration, there is a relationship between the sentiment orientation of emoticons and messages. Emoticons have been distinguished in two main categories, i.e. positive and negative. Instances of positive emoticons are :-), :), =), :D, while examples of negative ones are :-(, :(, =(, ;( . These emoticons surely are an important source of information for polarity classification. In fact, on social media positive and negative messages have a high percentage of emoticons. Information contained in Social media, which became one of the major types of communication, make them an attractive source of data for sentiment analysis. Not only texts but also emoticons, which represent linguistic elements typically used on social media to elicit a given message, can be used to boost sentiment analysis. The precision of recognizing emotions can increase and improve with the analysis of emojis. They provide a crucial piece of information and this is essential for companies in order to better understand their customers feelings. The way people communicate is constantly changing thanks to technology; in order to understand what they are saying, it is important that companies adjust the way they are listening to suit these changes, and this means taking also emojis into account. Sir please provide me some objectives for my research work. My research work is also based on emoji based sentiment analysis. Hi Azizkhan, Emoji is an additional feature you can use in your text mining model to better classify the sentiment of a text. But it's not the only one. You could also integrate other features such as punctuation or "screemed" words! For example, "That book is interesting?" has a different meaning from "That book is interesting!" and "That book i reeeeeeally interesting!" indicates a very high interest compared to the same sentence without the screamed word.